For some time young earth creationist Kent Hovind has boasted that no evolutionist will accept his challenge to provide scientific proof for evolution. I have a standing offer of $250,000 to anyone who can give any empirical evidence (scientific proof) for evolution. My $250,000 offer demonstrates that the hypothesis of evolution is nothing more than a religious belief. Prove beyond reasonable doubt that the process of evolution (option 3 above, under "known options") is the only possible way the observed phenomena could have come into existence. Mr Hovind's insistence that "Option 3" is a "process of evolution" strongly suggests that (1) he doesn't understand the evolutionary process or (2) he deliberately sets out to deceive prospective claimants, or perhaps both! Very recently two scientists, unbeknown to each other, have taken up Mr Hovind's challenge. The following articles indicate clearly that Kent Hovind's $250,000 "challenge" is completely and utterly bogus. Kent Hovind's "$250,000 Award to Prove Evolution!" 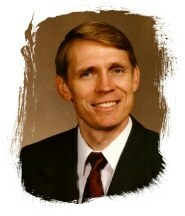 Is Kent Hovind a Liar too? Mr Hovind is a liar. He lies about science - he even lies about Christianity, and he lies about his credentials. Why is it that those who support creationism don't demand accountability from their icons? Prof. Karen E. Bartelt, Ph.D.